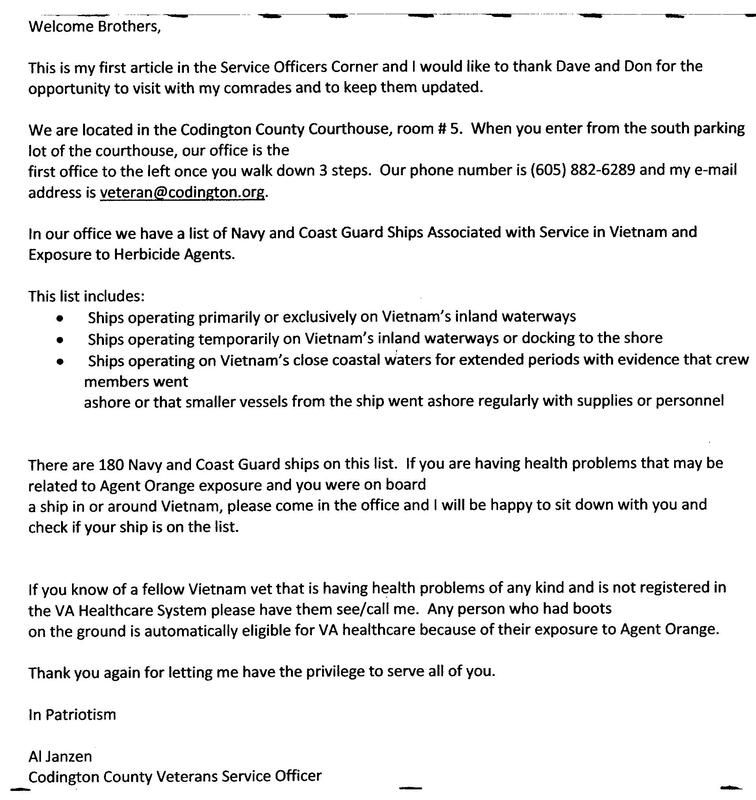 Future “Service Officer’s Corner by Al” notes will be found inside some newsletters as “Notes from VSO Al” at the “Chapter Newsletters” tab. 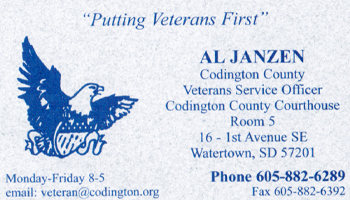 From the desk of your Codington County Veterans Service Office. 2013 starts out to be busy for our legislators out in Pierre. 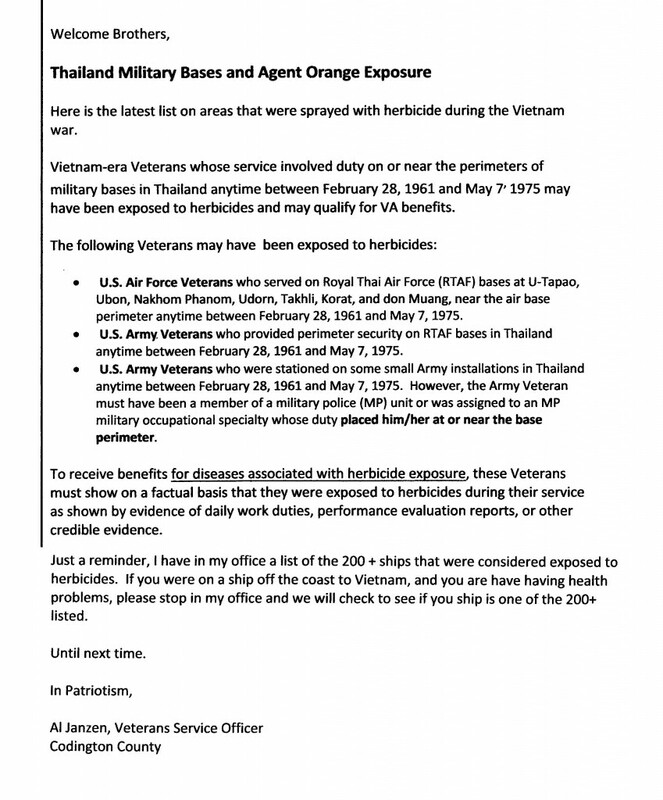 There are a number of bills that will be coming up for consideration concerning Veteran’s issues. We ask that when you hear Dear Sir or Madam, of any bill, we recommend calling our local representatives to give your input. 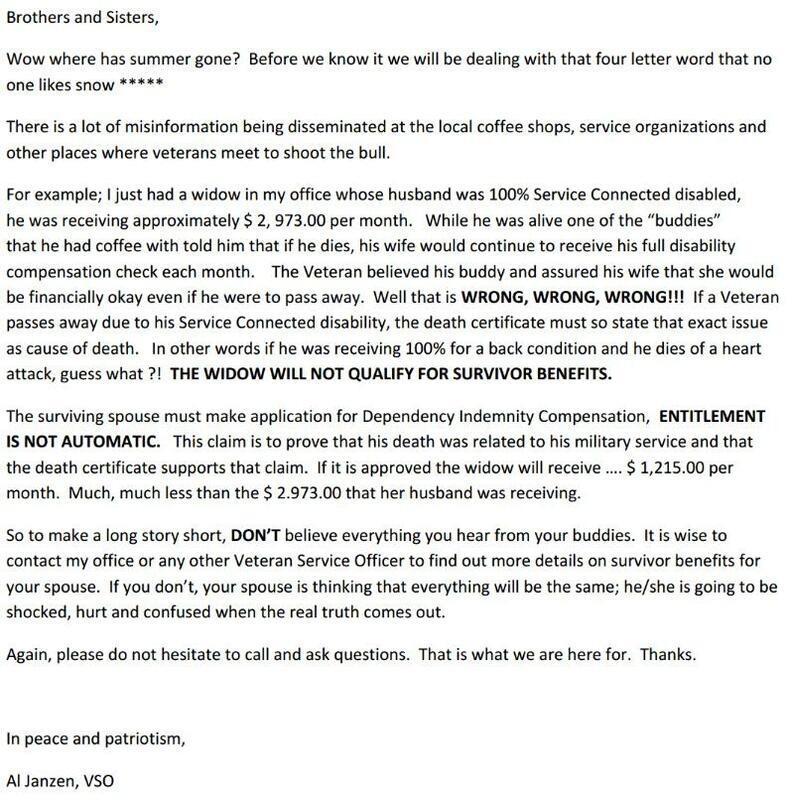 All phone calls, letters and e-mails are vital to our representatives to try and get these bills passed for our veterans. Do you have a living will for healthcare? 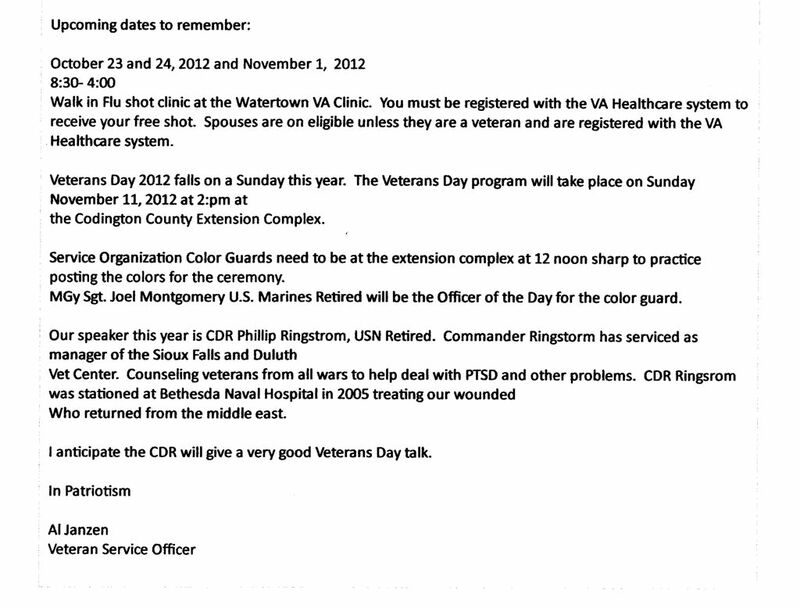 The Watertown CBOC is able to help veterans out with this process. 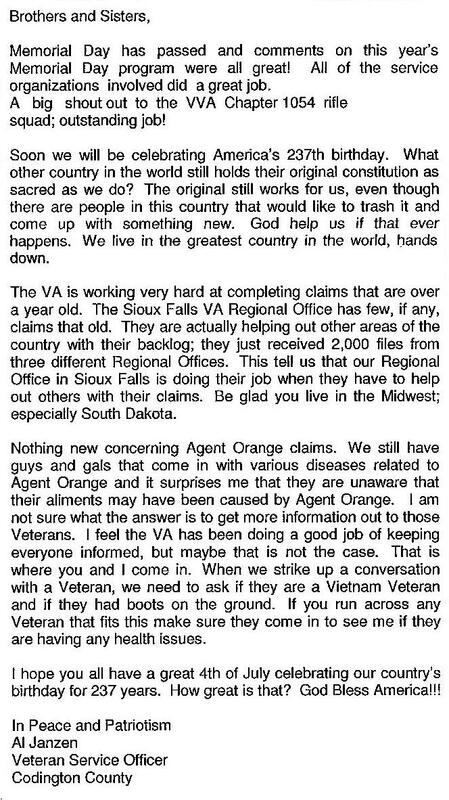 You need to call the VA Clinic at 884-2420 to make an appointment to see Bernie Kouf. He will make sure that all of your needs are met. In need of hearing aids? 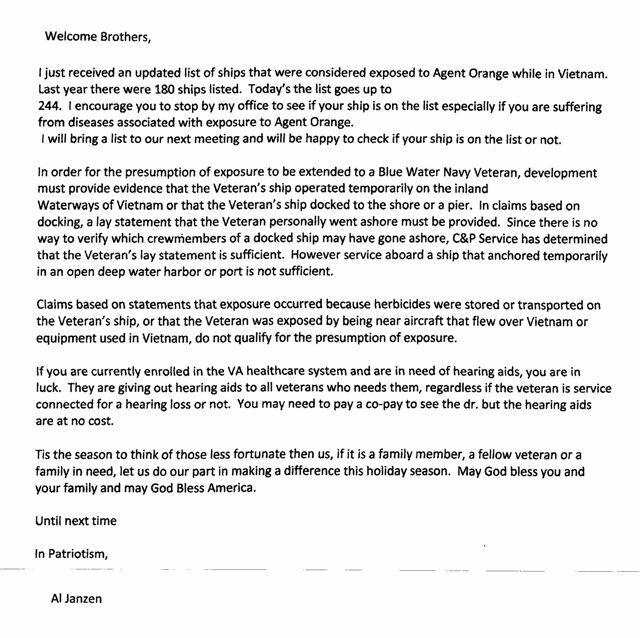 The VA is issuing them to veterans who have a hearing loss and are in need of hearing aids. When you meet with your VA primary care physician ask to be referred to the hearing clinic for evaluation. 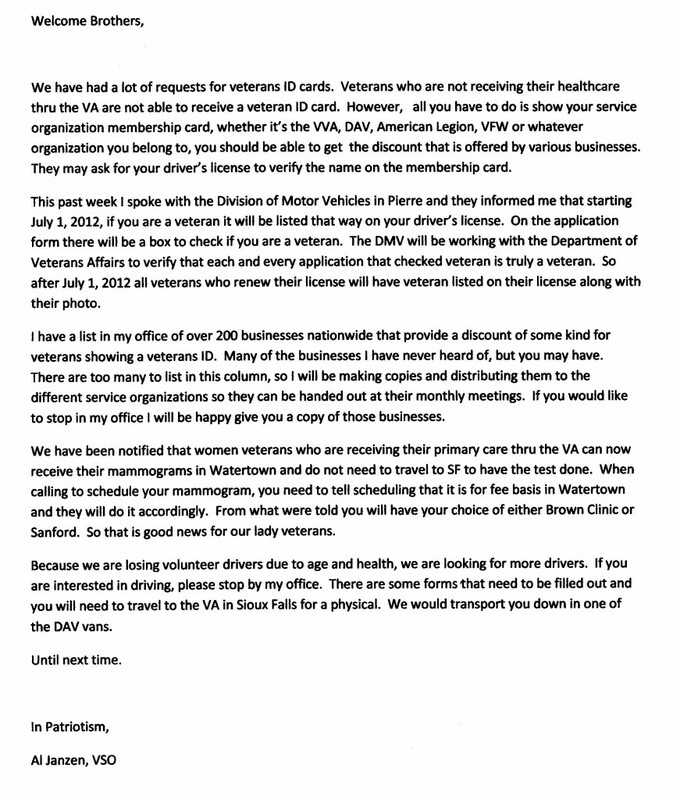 Many veterans are taking advantage of this service. The only down side to receiving your hearing aids is that you will be hearing what our spouse is saying, no more excuses. I would like to extend my condolences to the Burdett Solum family. 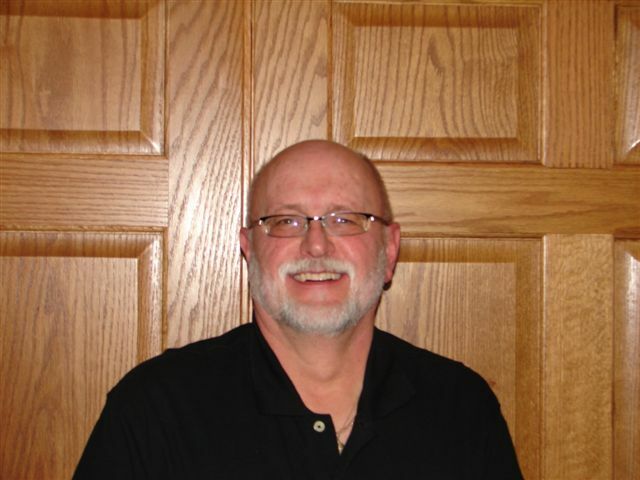 Burdett was not only a friend but a true veteran’s advocate. 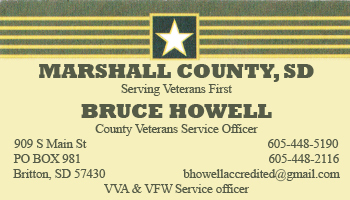 I had many talks with Burdett concerning veteran’s issues and I always came away learning something new. 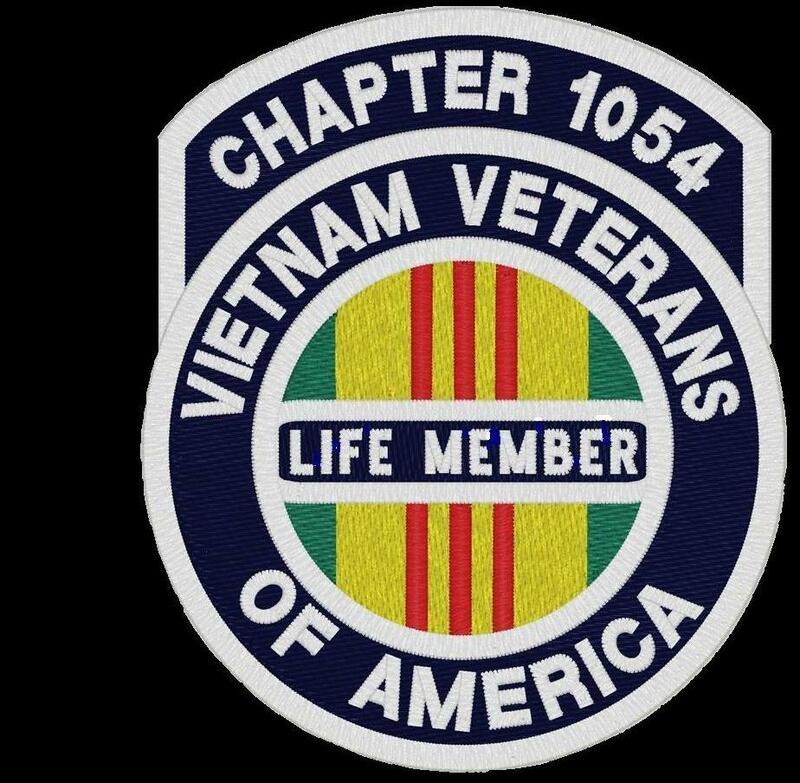 Burdett will be greatly missed by all in the veteran’s community. One last note, I have to say that Army/Navy football game was another barn burner and yes MY Navy prevailed again. I believe that makes it 11 years in a row that Navy has defeated Army. As they say, there is always next year for your Army team.